Before we saw Tony for the first time we knew we needed sound financial advice. Although we had a fair handle on things, we were worried we might make a wrong decision that could jeopardise our Pension Bonus entitlements. We also needed some idea of whether we could afford for both of us to retire. We had a financial adviser, although he showed no inclination to be involved with important aspects of our finances including our dealings with Veteran’s Affairs. We knew we needed to change to a new advisor but we were worried about whether we could find one with the necessary skills and experience to support us with DVA documentation and to provide long term financial planning and advice. After our initial meeting with Tony it became obvious to us that he had the enthusiasm and determination to reach a positive outcome for our situation. During our meetings Tony presented the relevant information and recommendations in a manner that was easy for us to work through together. Tony’s advice and support helped us to maximize our entitlements and put in place a clear roadmap to reaching our goals and we have no hesitation recommending him for retirement advice. Before I met with Tony I had really only used bank accounts to save. Although I knew this was a safe way to go, I also knew that this way it was going to take forever to reach my goals. I wasn’t sure whether other types of investments were right for me and I had lots of things I wanted to achieve so it was hard to get a clear picture. Tony has been great in helping get clear on my goals a putting together a flexible plan to achieve them. He was able to explain the benefits of different kinds of investments and strategies so I could make an informed choice, I am also learning a lot along the way. I was able to put things on hold while I worked and holidayed overseas for 18 months, and now that I am back, I can pretty much pick up where I left off. The Plan that we have in place has given me the confidence to know that I have everything covered. I can easily recommend Tony for financial advice. We had our financial goals and were getting comfortable with the idea of early retirement when the Global Financial Crisis hit. We often had restless nights wondering whether we could achieve the level of financial security we needed. ​We were juggling so many balls - were we ready? What will happen in the investment markets? We also needed our tax sorted out and deal with John's Mother's estate - we thought we would never get there! ​Tony helped us to find a clear way through and made it easy for us. His process meant we could tick off the boxes one by one. 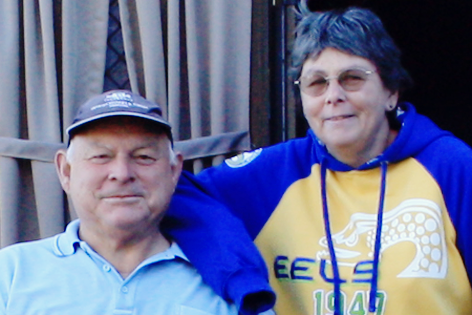 ​Tony's help allowed us to maintain the same income as before retirement. 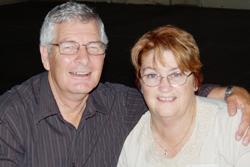 We never thought we would be eligible for any support for Rosemary's medical expenses from Centrelink and that support has really made a difference. His experience took the sweat out of filling out all those forms and the knowledge of what was required was invaluable to us. We can now get away in the caravan whenever we want and can feel secure about the future. We have no hesitation in recommending Tony for Financial advice. If you would like to find out more about Lake Macquarie Financial Planning and see if our unique system is a match for your needs, then feel free to contact us! You need to consider you financial situation and needs before making any decisions based on this information. representative of Charter Financial Planning Limited, Australian Financial Services Licensee.